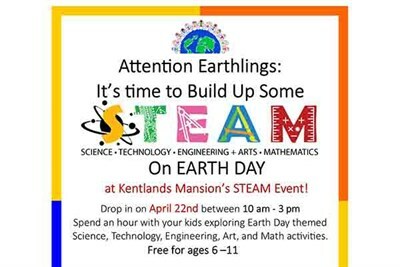 Spend an hour at Kentlands Mansion for Earth Day inspired STEAM activities. The event is a free drop-in program suitable for ages 6-11 years. Parents must accompany participants.